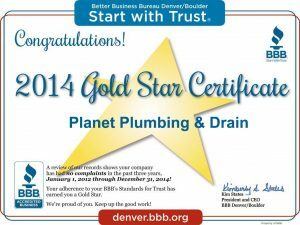 Call Planet Plumbing & Drain today at (303) 440-4330 to schedule your Sewer Replacement service, or Schedule Online. Planet Plumbing & Drain offers sewer main line replacement. You may need a sewer line replacement if you have chronic or major blockages that cannot be cleared or permanently fixed with cleanings, or you may have old clay pipes that tree roots have caused breakages or clogs. Other pipes such as copper or PVC may be faulty due to age or shifts in the ground. Why Replace a Main Sewer Line? Sewer snakes or augers will unclog sewer pipes in many circumstances, but in many instances these are emergency solutions. Permanently damaged or aging sewer lines may need to be replaced to prevent larger problems from developing. Broken pipes. Sewer pipes can become corroded, damaged, collapsed, or sections may have shifted apart. In this case, replacement is usually recommended, and many times it is the only option available. Continuing blockages. Over time, sewer pipes age and they develop buildup of grease, foreign objects, and other debris. This debris increases due to defects in the sewer line, and can only be remedied with a sewer replacement. Leaks. 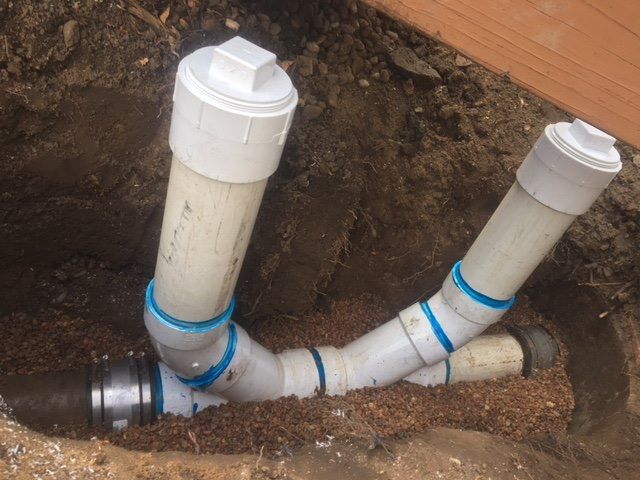 Sewer pipe joints and sections can develop leaks because of defects in the line, frost damage, ground shifting, or other imperfections in the pipe that can only be fixed with a sewer line replacement. Tree roots. A tree’s root system looks for water, and are drawn to sewer lines. If tree roots penetrate your sewer pipe they can cause severe blockages and damage the lines. Sewer pipe replacement can prevent further damage and reoccurring blockages. Other problems. Issues such as off-grade sewer lines are reasons to replace your sewer line. 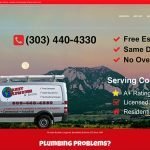 Planet Plumbing & Drain specializes in sewer lateral replacement. A sewer lateral is the section of your sewer pipe that connects a home or business to the main city sewer line. Most of these lateral pipes are 4 inches in diameter and made of ductile iron. 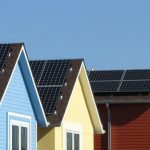 Usually, local city or town governments consider the lateral connecting pipe to be the property of the homeowner or commercial property owner, and they are responsible for its maintenance. Sewer laterals can make up 50 percent or more of the sewer pipe systems. Regrettably, the maintenance of the lateral section of a sewer pipe is many times neglected until a major problem develops that must be remedied quickly, such as a blockage causing raw sewage to backup into the property. Most often, sewer laterals run slightly downhill to the main sewer line, allowing gravity to keep the sewer line flowing. A Y-fitting and vertical pipe hooks into the lateral pipe near its origin to provide access to the larger pipe. What Causes Sewer Laterals to Fail? There are many factors that can compromise a lateral sewer line. Substances or foreign objects such as grease, disposable diapers, and other debris flushed down a toilet can create clogs. Tree roots seeking moisture can break through the side or joints of a lateral pipe. Age can cause pipes to corrode, break, or crack over time. Every one of our plumbing technicians is experienced and trained in complete sewer line replacement services. No overtime fees and free estimates over the phone usually. There is no charge for on-site estimates when needed.